Presented by DeMoulin Bros. & Co.
Friday, June 19, 2015 | 8:00 p.m.
For the first time since 2012, the Drum Corps International Tour will return to the University of Louisville on Friday, June 19, for DCI Louisville presented by DeMoulin Bros. & Co. A dynamic lineup of World and All-Age Class corps is set to march through Papa John’s Cardinal Stadium for this opening-weekend showdown. $5 increase on day of show. Prices do not reflect additional handling fees. ALL TICKETS ORDERS FROM NOW ON WILL BE HELD AT WILL CALL. PATRONS WILL NEED TO PICK UP TICKETS AT THE BOX OFFICE THE DAY OF THE SHOW AND HAVE A PHOTO ID PRESENT. $5 increase a day of show. Prices do not reflect additional handling fees. For Sections 128 - 130 and 228 - 230, the higher number seats are closer to the 50-yard line. ADA seating is located in the bottom row of Section 230, 231, and 233 These areas are open spaces for a wheelchair or stroller. Companions will receive a folding chair to sit next to the ADA guest. 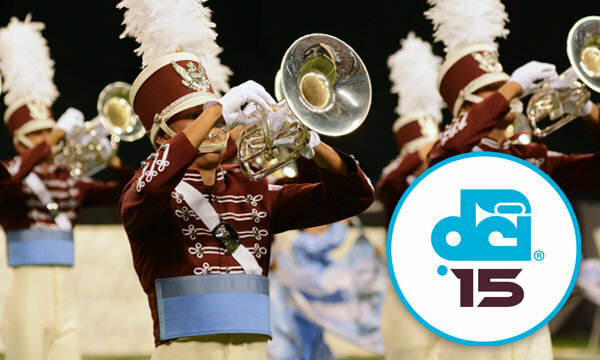 To purchase accessible seating or group tickets, please call the DCI Box Office. 317.275.1212.